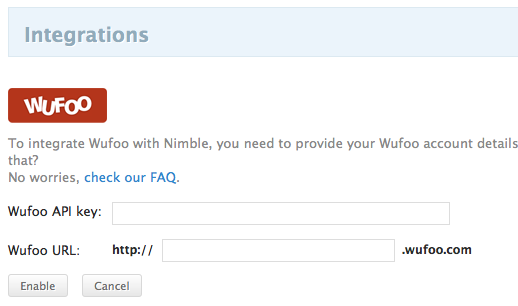 This is an overview of how to set up the Wufoo integration in Nimble. Please note: Wufoo field names must be in English because our data fields only read them in English. There are two primary steps to set up the Wufoo integration in Nimble that are equally important. Step 1. 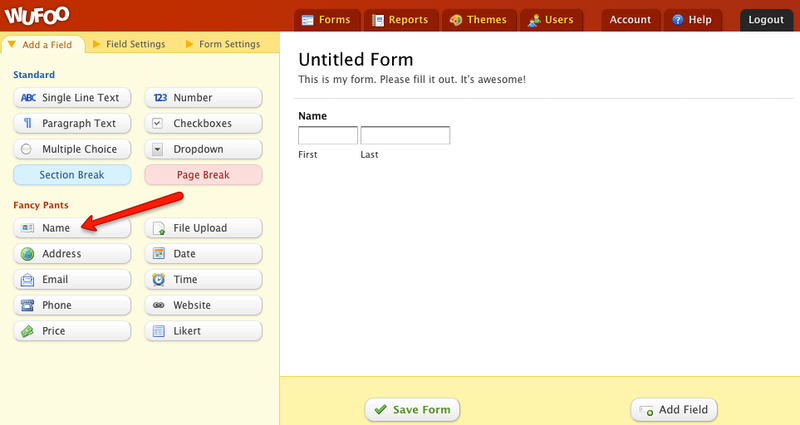 Create a Wufoo form that is formatted to send data to Nimble. 1. When you create your Wufoo form, be sure to select the Name field from beneath the Fancy Pants section in the Wufoo form building tool. 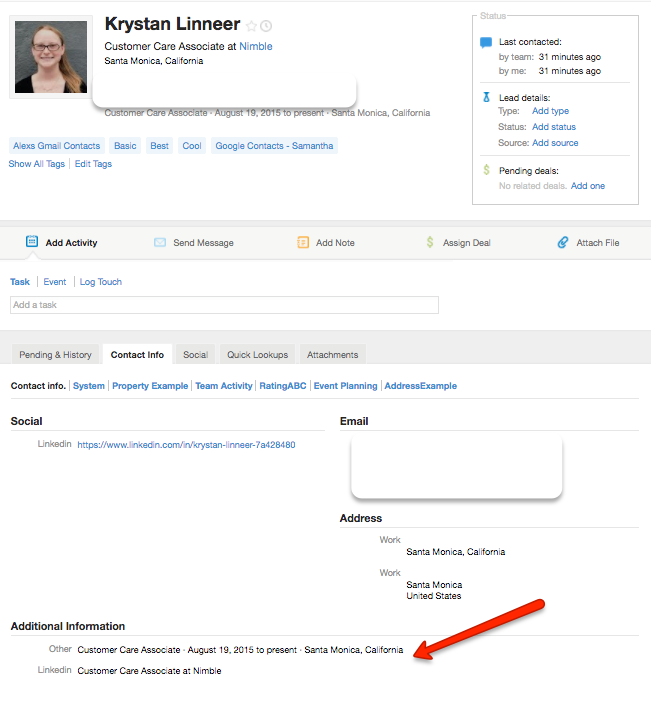 The "Name" field is the minimum requirement to gather information and display it in Nimble. All other fields (see #2 below) which you may add to the form are optional. NOTE: If you create multiple "Name" fields, only the first one will be recognized by Nimble as First and Last names for the contact. All the remaining fields will go into the field "Description"
WARNING: If there are no "Name" fields in your Wufoo form, your web-form will not be captured by Nimble. All data entered will be ignored. 3. 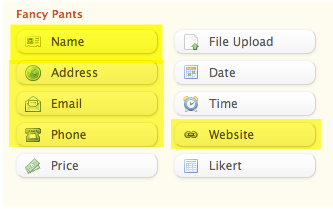 For "Job Title" and "Company Name" , these fields can be added to your form and captured in Nimble. 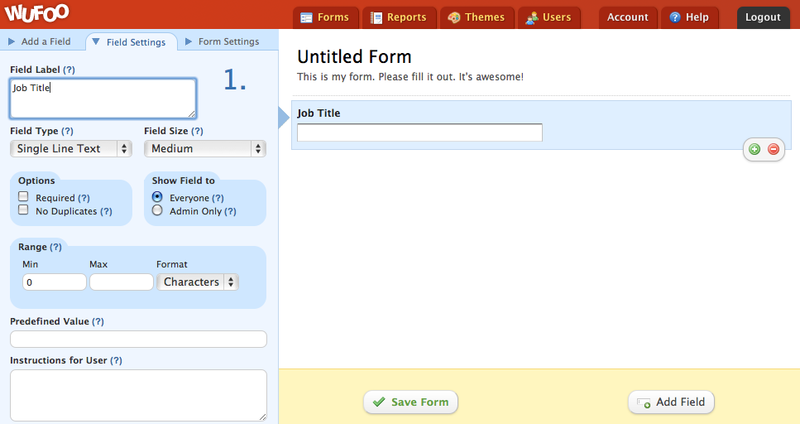 i. Customize a form field by choosing the field type under Wufoo's "Standard" section. Pick either: "Single Line Text" or "Paragraph Text"
NOTE: Both these field labels are case insensitive, which means that anything like "Job title", "job title", "Job TITLE" will be recognized as "Job Title" field in Nimble. Step Two: Locate your Wufoo API key to link Nimble to Wufoo. 5) Your Wufoo API key is displayed here. 2. 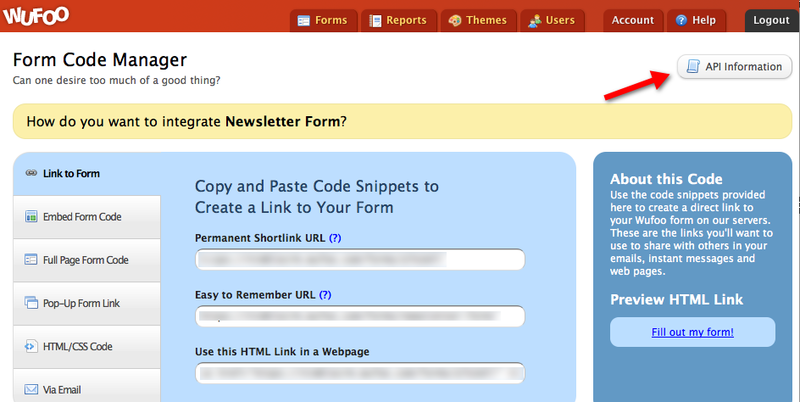 How can I respond to a lead's email address instead of Wufoo's "No-reply" address? 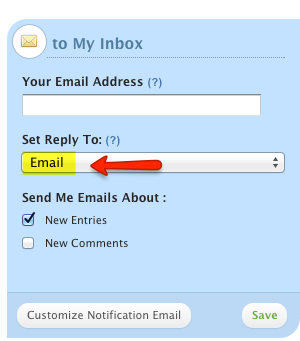 Select a Wufoo form, go to Notifications and under Email change "Set Reply To:" to Email.